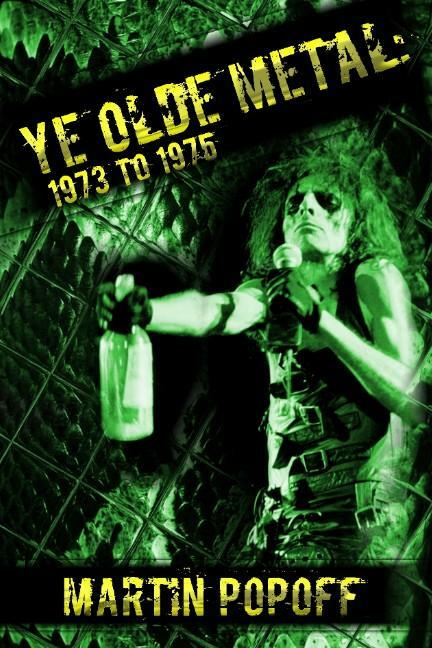 Schlock-Wire: Martin Popoff’s YE OLDE METAL Series Now Available As eBooks – Schlockmania! Available now as eBooks, at the low price of $8.88 each, ALL FIVE YE OLDE METAL BOOKS! Compatible with iPhone, iTunes, iPad, iTouch, Kindle, Kobo, smartphone etc. The books are presented as a standard high resolution PDF. As an example, Apple users can simply download the eBook, import into iTunes on their computer, then copy to their iPad, iTouch or iPhone. See www.martinpopoff.com for more info on these and the 30 or so other books still available as (meta)physical books, many just through my site. 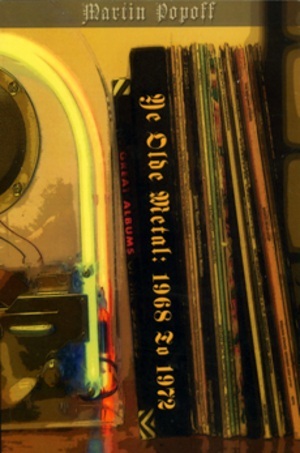 By the way, down to last copies anywhere, for a long time anyway, due to fire at the printing plant, store return copies of the ‘80s reviews book, new copies only of the ‘70s reviews book, ‘00s, consider those gone – please don’t ask, got a handful more of the Voivod. 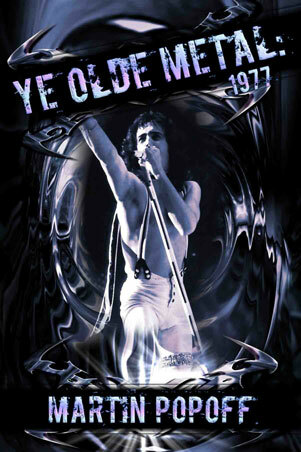 Ye Olde Metal ’76 now out of stock as print book, but still got the others. About 20 of 1977 left. An other note, Zunior is also the exclusive seller of eBook versions of Gettin’ Tighter: Deep Purple ’68 – ’76, A Castle Full Of Rascals: Deep Purple ’83 – ’09 and Blue Oyster Cult: Secrets Revealed!, each at the low sticker of $8.88. Finally, Zunior is also (pretty much exclusively) selling eBook versions of my The Top 500 Heavy Metal Songs Of All Time and The Top 500 Heavy Metal Albums Of All Time, also for $8.88, very under-rated, probably my best writing, those two, and stuffed with cool artist quotes. Two of my fave things. They’ve got my Rush book as well. Blue Oyster Cult: Secrets Revealed!